Red 5 Studios says it will shut down its website, community space and Firefall beta for 24 hours on January 18. It's also boycotting E3. While the games industry's response to the Stop Online Piracy Act (SOPA) and the Protect IP Act (PIPA) has been relatively muted so far, Firefall developer Red 5 Studios has announced its intention to completely shut down its website, community site and Firefall beta on January 18 as a protest against the controversial legislation. It has also cancelled its booth at E3 to protest the continued support given to SOPA by the event's organizers, the Electronic Software Association (ESA). A growing number of websites - including Reddit - also have anti-SOPA blackouts scheduled on January 18. Red 5 Studios CEO, Mark Kern, says his company's opposition to the bill stems from how harmful it could be to indie developers. "Most of all, [SOPA] hurts the smaller game companies, who will not have the legal resources or lobbying presence to protect themselves from unwarranted shutdown," he said in an email to Shacknews. "This bill, and its sister bill, Protect IP, will shut down live streaming, shout casting, user generated content and have a chilling effect on game innovation and social media," he continued. While Red 5 Studios is not the first developer to announce its opposition to the bill, the ESA and many of its members still continue to support SOPA. 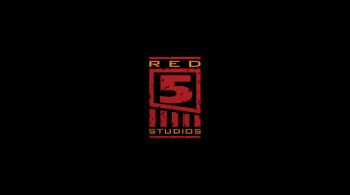 Kern clarified that Red 5 Studios is not an ESA member and said it "never will be" over the group's support for legislation, adding that his studio is "ashamed, ashamed of the ESA for supporting a bill which is clearly not in the best interests of gamers or the game industry." "We issue a call to all our industry peers, including developers, publishers, and game press, to join us in letting the ESA know they do not represent our views on this issue, and strongly oppose SOPA and PIPA," added Kern. It would be reasonable to expect that battery of opinions on SOPA and PIPA is only going to grow as the bills continue their passage through Congress (Sega's solution is one of the best so far). Though speaking out against SOPA on the internet in the current climate is likely to win you more fans in the community, it's still telling that Red 5 Studios is willing to lose a whole day's productivity over this. If you'd like to join it, Reddit, and others in voicing your opposition on January 18, here's a link to an anti-SOPA Facebook event designed to assist in raising awareness.